Barbie doll�s look simply by changing her hair. Barbie doll comes with lots of glam accessories to create a new do with ease. 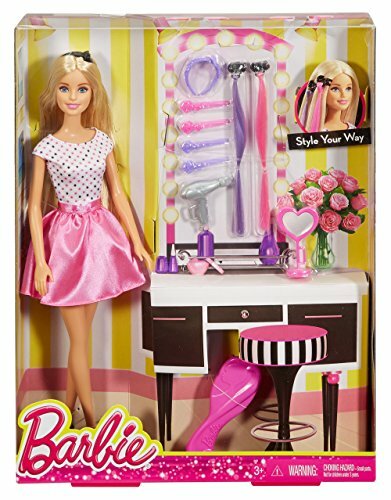 A hairbrush and doll hair dryer let young stylists play out the prep on Barbie doll to get her ready for any occasion. A collection of clips and accessories lets them add shape and color. Choose from two hair color extensions in signature pink and purple, two sets of hair clips with decorative detail and an adorable head band with bow. When the look is complete, Barbie doll can check it out in the heart shaped mirror place it in her hand for added realism. 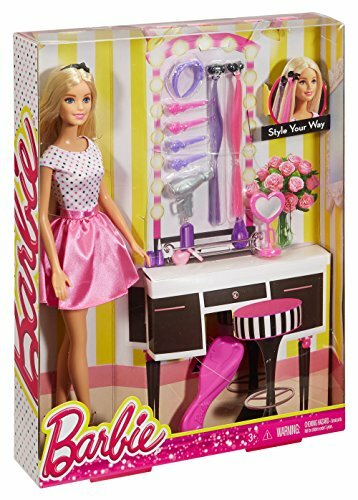 Dressed in a fabulous outfit of pink shimmery skirt, print top and cute shoes, Barbie doll will be ready to head out with fabulous hair or you can take it down, brush it out and start all over for tons of hairstyling fun. 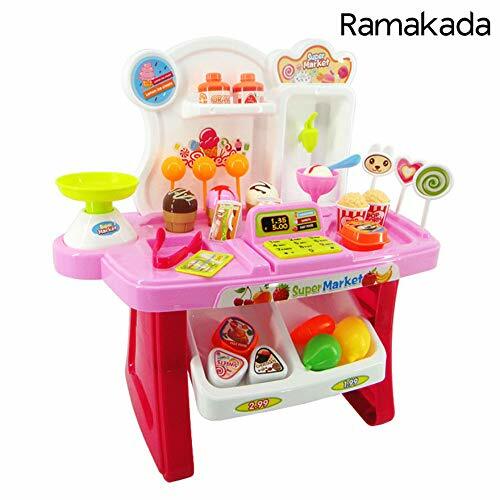 Set includes Barbie doll wearing fashions and accessories, two clip in hair extensions (purple and pink), two sets of hair clips (purple and pink), one head band, one doll blow dryer, one doll mirror and a hairbrush. Doll cannot stand alone. Colors and decorations may vary. Features: Change Barbie doll�s look simply by changing her hair. Girls can create endless hairstyles for Barbie doll with these amazing hair accessories and styling tools. A hairbrush and doll hair dryer let young stylists play out the prep on Barbie doll to get her ready for any occasion. Add shape and color with two hair color extension clips in signature pink and purple, two sets of hair clips with decorative detail and an adorable head band with bow. Barbie doll is ready for anything in a pink shimmery skirt, print top and cute shoes. Simply brush out Barbie doll�s hair to start all over for tons of hairstyling fun.